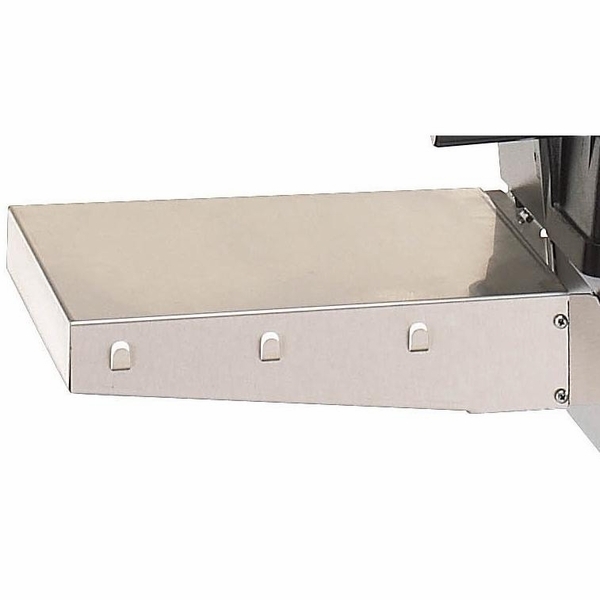 Mounts securely to the left side of any "A" series grill. If you are an outdoor grilling enthusiast, you know how frustrating it can be to have no place to rest your utensils. You may have to deal with that inconvenience at the state park, but not at home with your own grill. PGS offers the perfect solution: a stainless steel side shelf which mounts securely to any freestanding "A" series grill. You'll like the three hanging hooks which will hold a dish towel or utensil. Rest your other utensils comfortably on top of the shelf. This left side grill shelf is ideal for the southpaw culinary specialist. You can expect the same high quality from this accessory as other PGS products.